If you really want to spice up your barbecue you could put on a limbo competition or dance the salsa, but a more conventional way is to use a meat marinade or spice rub. Many backyard chefs are relying on these mixtures to tenderize and give an infusion of flavor to meats. There are a multitude of premade marinades and rubs on the market from the classic to the exotic; each one promising to add an explosion of flavor to an otherwise ho-hum piece of meat. In my exploration of these products I have found that many of them contain a variety of additives that I’m not keen about eating such as high fructose corn syrup, modified food starch, xanthan gum (whatever that is) and potassium sorbate as a preservative. No thanks, I’ll make my own. 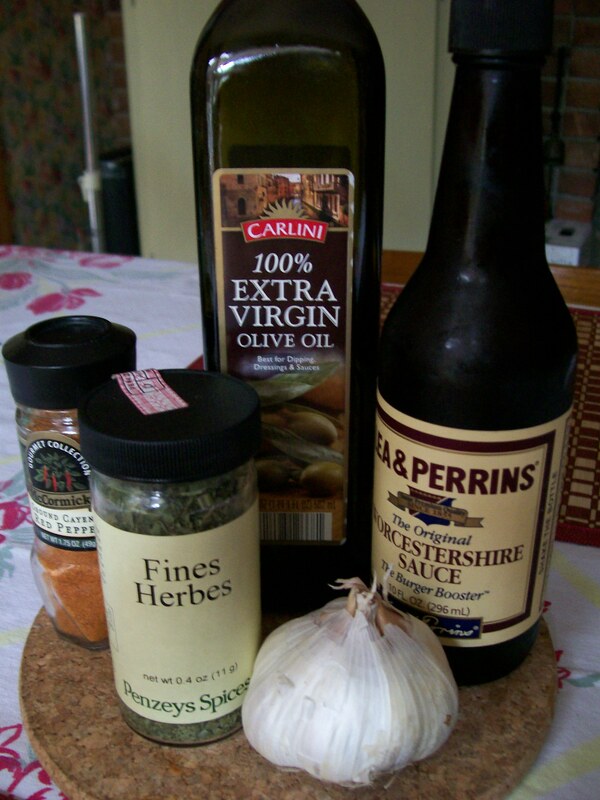 Marinades consist of acids, oils, and aromatics or flavorings. It’s that simple. But when you have the wrong proportion of acid to oil you can turn a beautiful steak into a gray, tough, flavorless, expensive embarrassment. Acids such as vinegars, wines, fruit juices, yogurt, buttermilk, and even fresh ginger break down the collagen on the surface of meats and can denature the proteins, thus damaging the protein’s structure. Meats, i.e. proteins, especially delicate ones like fish and chicken, left in a marinade too long can be totally ruined. The proteins break down to the point where they lose moisture and structure and become dry and mushy. So what does it take to make a good marinade? 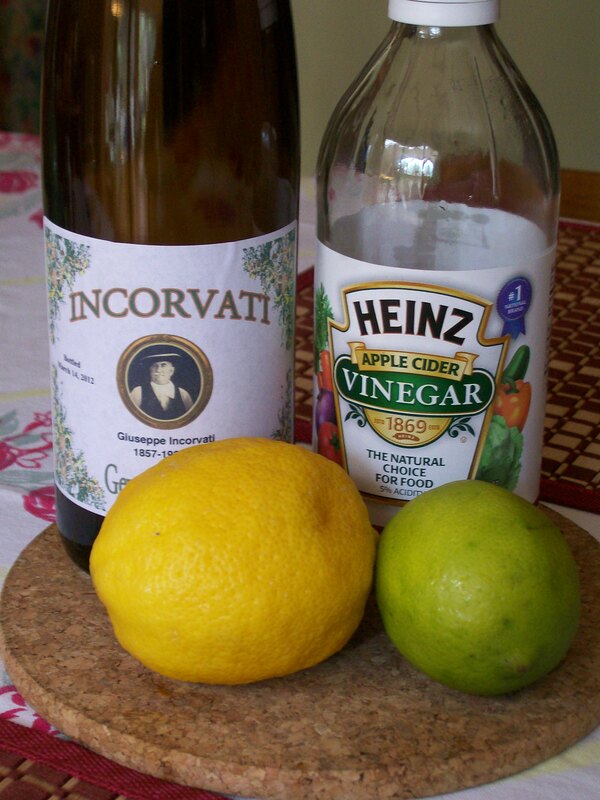 The general rule is to use a light touch with strong acids such as vinegar or lemon juice, using no more than one part acid to four parts oil. It’s the oil that carries the flavor anyway. A tougher cut of meat can tolerate a longer marinating time using this proportion of acid to oil. A tender cut of meat may not need any acid at all; just a little oil and some aromatics for flavoring. In fact recent studies concluded that marinades do not tenderize meat as once thought. So even though marinades aren’t used for tenderizing, they do help to add flavor and moisture. However for most meats the marinade will generally only soak in about 1/8″ to 1/4″ deep. The acids soften the exterior of the meat, allowing the oil to penetrate. The denser the meat, with more connective tissue, the less the marinade will penetrate, so these meats can take a longer marinating time. Meats in a marinade with oil and very little acid can remain overnight in the refrigerator. A sure sign that red meat has marinated too long in a too-acidic marinade is a gray exterior. For chicken or pork the exterior will turn white. Another way to infuse BBQ with flavor is with dry rubs, a combination of spices, herbs, salt and sugar that creates a flavorful crust, something marinades do not. A rub is not really rubbed into the meat but rather patted on rather heavily. When a rub is applied, the browning of the proteins and sugars in the meat create a toasted, roasted, grilled flavor. The sugar in the rub also creates caramelization. Larger cuts of meat and especially slow-roasted meats can tolerate being left marinating with a dry rub over night in the refrigerator. Tender cuts such as steaks, kabobs, and chicken breasts will like a light sprinkling of dry rub before grilling to provide a quick flavor boost. The combinations of seasonings in a rub can be tailored to your own particular taste preferences, or to a specific ethnic cuisine. 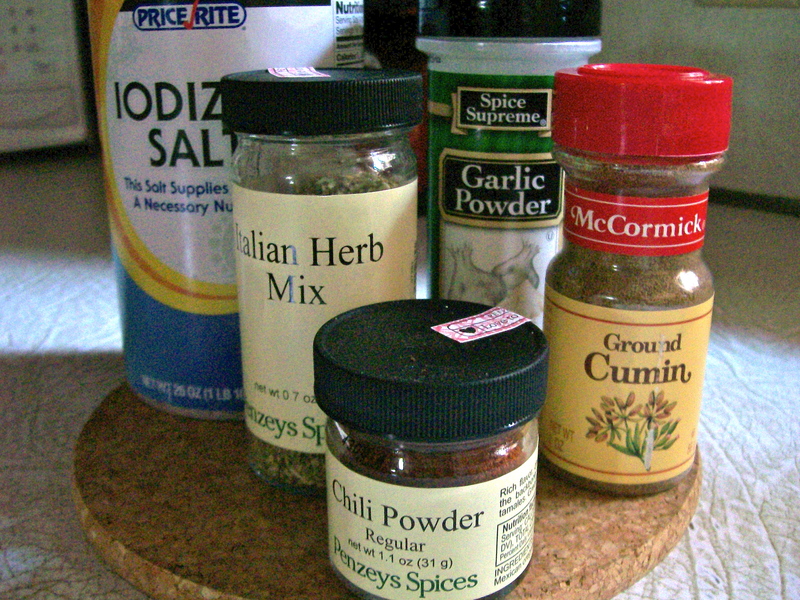 Mix up the herbs and spices representative of Cajun, Indian, Greek, Italian or Mexican cuisine, and add some brown sugar and salt to the mix. Start with a few proven rub recipes, then add or subtract ingredients until you get the mix you like. Now you’ve created your own…. In tomorrow’s post I will be presenting a pork recipe that features a rub that I put together. Stay tuned! Hopefully this post has not been too technical, but has perhaps answered some questions for you or cleared up some misunderstandings. Periodically I would like to include posts such as this one seeking to take an in depth look at specific products or methods of food preparation. Having spent quite a few years of my professional life as a teacher, I frequently say, “once a teacher, always a teacher”, but I do not want to come across too strongly in that regard. From time to time, I would like to present a post like this as I continue to seek the niche that will satisfy more readers. However, If this is not the type of post you would like to read, please let me know. Thanks so much for your comments and input. Happy Grilling and Barbecuing , and Happy rest of summer!